God commanded Joshua to be strong and courageous. God chose Joshua to lead the Israelites into the Promised Land. Joshua was a warrior, and this is what would be needed to lead the people and defeat the fierce and ungodly kings of the land. As long as Joshua and the Israelites were obedient to God, God would fight for them and displace the evil inhabitants. The book of Joshua is about the many battles that the Israelites had as they systematically went into every corner of the Promised Land, to drive out the inhabitants and defeat the evil kings. Joshua was very obedient to the Lord, and the Lord continued to give him victory after victory. The Lord delivers the giants into Joshua’s hands….. If you want some idea of how courageous Joshua had to be, how much he needed to trust that God would go before him to destroy the inhabitants of the land, check out the approximate size of some of these fellows….No wonder the Israelites felt like grasshoppers compared to these giants..
(For only Og king of Bashan was left of the remnant of the Rephaim. Behold, his bedstead was an iron bedstead; it is in Rabbah of the sons of Ammon. Its length was nine cubits and its width four cubits by ordinary cubit. (more than 13 feet long and 6 feet wide). Nothing; however, is impossible with God who delivered the giants into the hands of the Israelites. When God is for you, who can stand against you? Joshua remained obedient to the Lord, and the Lord continued to bless him with miraculous military victories. Joshua 11: 21 Then Joshua came at that time and cut off the Anakim from the hill country, from Hebron, from Debir, from Anab and from all the hill country of Judah and from all the hill country of Israel. Joshua utterly destroyed them with their cities. 22 There were no Anakim left in the land of the sons of Israel; only in Gaza, in Gath, and in Ashdod some remained. 23 So Joshua took the whole land, according to all that the Lord had spoken to Moses, and Joshua gave it for an inheritance to Israel according to their divisions by their tribes. Thus the land had rest from war. Not only were the Canaanites evil giants with mixed Nephilim blood, but God our Father KNEW that if the Israelites made Covenants with them, merged cultures with them, that they would become ensnared by their “gods”. Their “gods” were DEMONS…and NOT the True Creator of Heaven and Earth, Elohim (The Triune God, Father, Son, and Holy Spirit). God was protecting the Promised Seed and He was protecting humanity from the tainted Nephilim Blood that had made people completely evil before the flood. God was also protecting Israel from the Canaanites’ idolatrous worship which included the ugly, blood-thirsty practices of their demonic rituals. Because of Joshua’s obedience and reverence for the Lord, he was pretty successful driving out and annihilating these ancient hybrid beings; however, some did remain on the outskirts of the land. 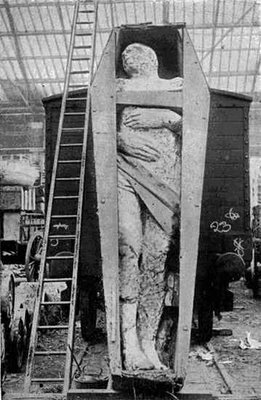 We know that Goliath was around during the days of the Kings of Israel (King David). A recent archaeological discovery indicates that Biblical stories of these famed beings are no longer mere myths. 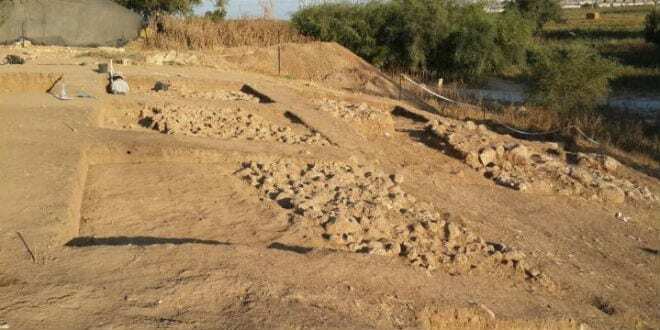 Archaeologists in Israel have uncovered what they believe to be the enormous gates of Gath, the city of Goliath (1 Samuel 17). After Joshua and the Israelites completed the conquest of the land of Canaan, Joshua divided the land according to the model that had been given by God to Moses to each of the 12 Tribes of Israel. The only Tribe that did not receive an allotted portion or inheritance was the Tribe of Levi (Levites) because these were to be the Priests for Israel. They were to do the work of the Tabernacle and later the Temple, perform the animal sacrifices (substitution principle), and minister to the Lord and to the people of Israel. 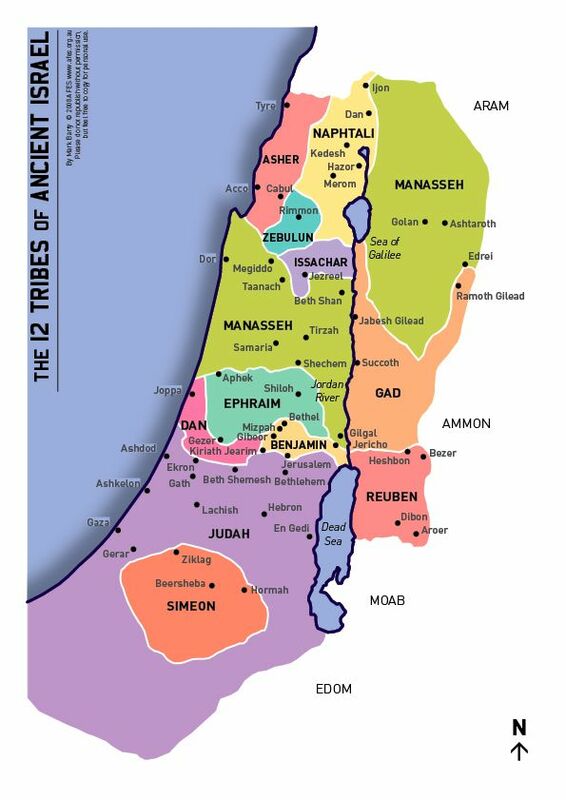 The Levites did receive cities within each of the 12 Tribes portions of land. Though the Levites were technically the “12th tribe”, the Tribe of Joseph is usually represented as two tribes, Ephraim and Manasseh, Joseph’s two sons, making the Levites the “13th tribe”, at least as far as the division of the land is concerned. Because the Levites weren’t given a portion of the land, the tithe that the 12 Tribes were to make to the Lord of produce and animal sacrifices were to be given to the Levites as an inheritance. This is similar to how people pay tithes and offerings in Church, and this pays for the Pastor’s salary. All of the Tribes of Israel moved into their own apportioned lands and for the most part lived independently of each other. When Joshua approached the time of his passing, at 110 years of age, he gathered all of the sons of Israel together so he could bless them and repeat the same warnings and admonitions that Moses had repeated to the Israelites prior to his passing. Joshua warned them that if they failed to keep the law of Moses, if they disobeyed the Lord God and followed the idols of the land (demonic ‘gods’), then the Lord would hand them over to their enemies. The Israelites then agreed to this Covenant, that they would follow the Lord God and not follow the idolatrous “gods” of the land. But it didn’t take long, maybe one generation after Joshua passed away, for the Israelites to completely forget everything that God had done for them and begin to do exactly what they had promised not to do.